With insights from sensors and smart devices, physical stores are now able to challenge the established ways of doing business, offering more tailored experiences and incorporating digital elements into the shoppers’ journey. Digital Transformation in the retail business answers the demands of customers by creating a new concept of connected stores to bring interactive and customized shopping experiences. 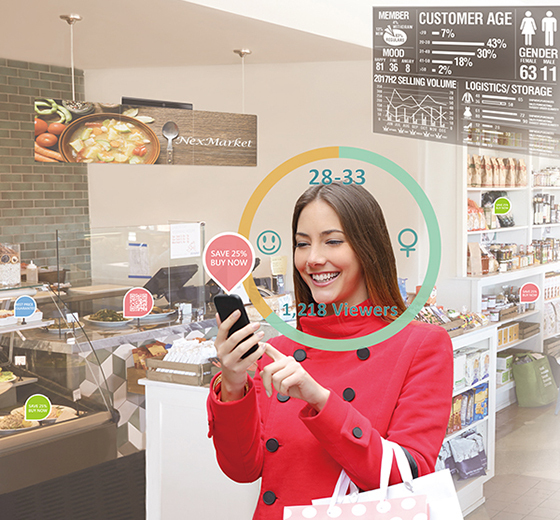 Retailers can now leverage real time data that allows the prediction of customer trends in physical stores. Access to this data helps improve the shopping experience by making use of available technological solutions and improves efficiency and sales. We are pleased to introduce NexCOBOT’s most updated smart retail solutions, including Smart Self-ordering, Smart Shelf, Smart Self Checkout and Business Intelligence solution for our exclusive guests on September 27th, 2018. The hands-on product displays will also be featured. or ​call K. Buchita M. 098-373-9052 E: buchitah.han@gmail.com for more details.